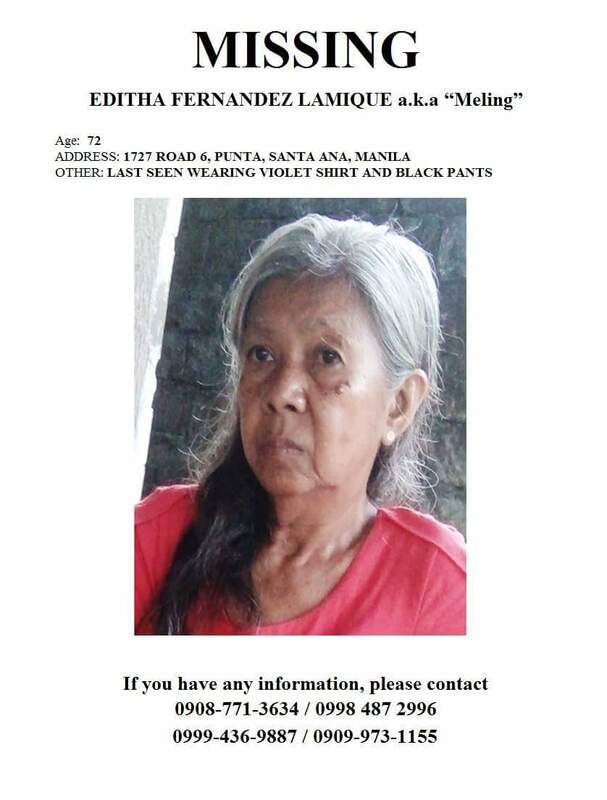 Last seen wearing violet shirt and black pants, April 24, 2018. Age 72. She has a mole on the left upper check. She has white hair.